While perusing the craft store for costume materials the other day, I saw some "paint with water" books. As a kid I loved those things. You pay a buck or two and then you got sheets and sheets of coloring pages with "paint pans" printed on the bottom of the page. It always blew my mind that I just needed a wet Q-tip to paint! So of course, that's when a light bulb went off in my mind. Ding! Sure, I could pay a could pay a couple of bucks, buy a book, and then relive some childhood memories. But I figured I'd have even more fun putting on my DIY hat and making my own "paint with water" pages. So, tada! 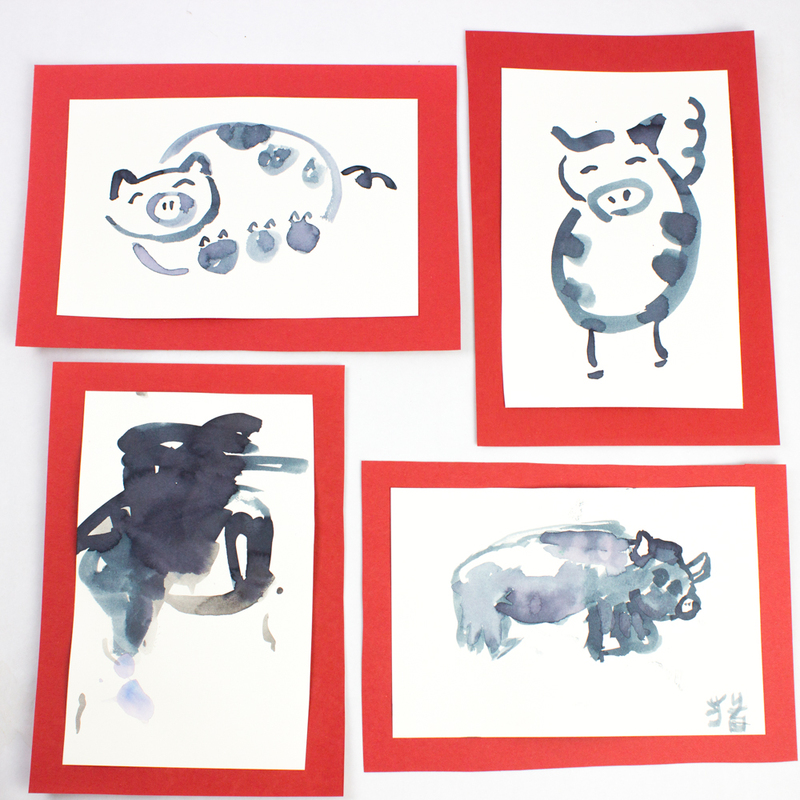 Here are my DIY "paint with water" pages. Not going to lie, the store bought ones are certainly cheaper. 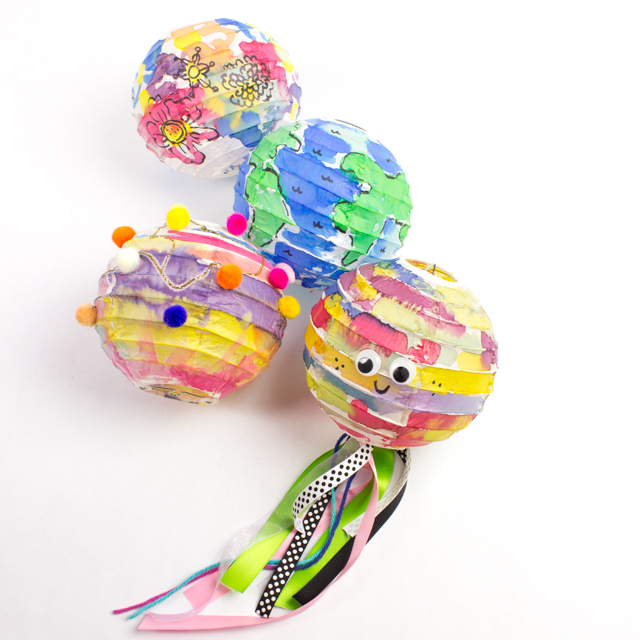 But, these ones are pretty groovy because they're customizable and sure to delight both the maker and the user. Ready to make your own? Let's get started! 2. Pull out your watercolor pencils. Color the rectangles in with different colors. For the best results, press hard and choose darker colors. Or, you could turn the pages into fun cards or postcards. 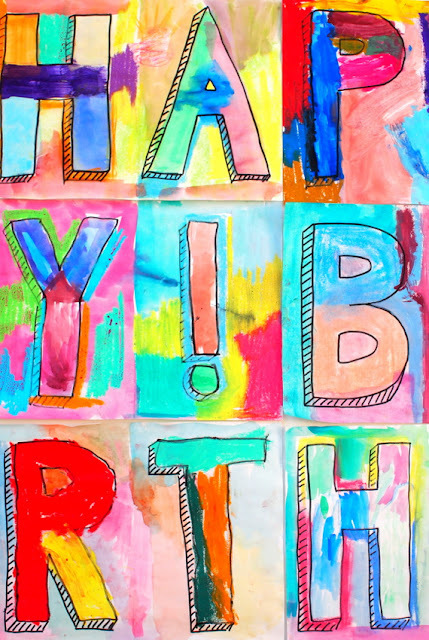 Who wouldn't love receiving a super cute card that doubles as an outlet for creativity? To color in your pages, simply take a Q-tip (or paint brush), dip it in water, and then dip it into your "paint pans." Voila. Instant watercolor paint! Once again, all you need now is a paintbrush (or in my case, a Q-tip) to make instant artwork. I recently purchased a box of Liquid Watercolors (affiliate link) to try out. I'd seen so many beautiful projects by other fellow Rockin' Art Moms that we just had to try them out too. And guess what? These paints totally lived up to the hype. 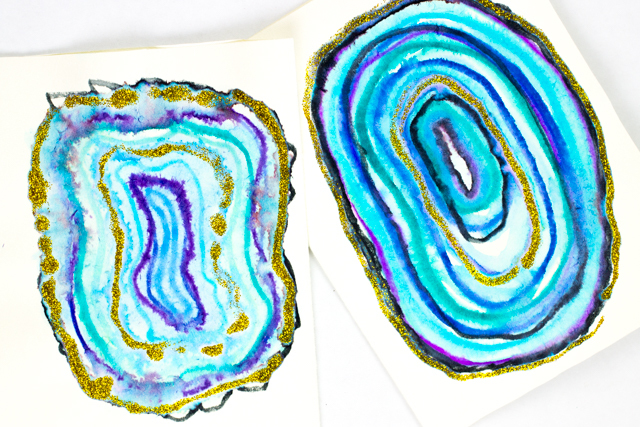 Here's why liquid watercolor rock- The colors are beautiful and vibrant. These watercolor paints are also SO MUCH EASIER to use than the typical pan watercolors. My preschooler doesn't typically enjoy painting with me because he struggles with getting enough color on his paint brush. I think he really enjoyed today's project because it was easy and the colors came out looking fabulous! So here's our first liquid watercolor project- Tada! We used our liquid watercolors to dye some wooden beads and peg dolls to make these lovely, family necklaces! 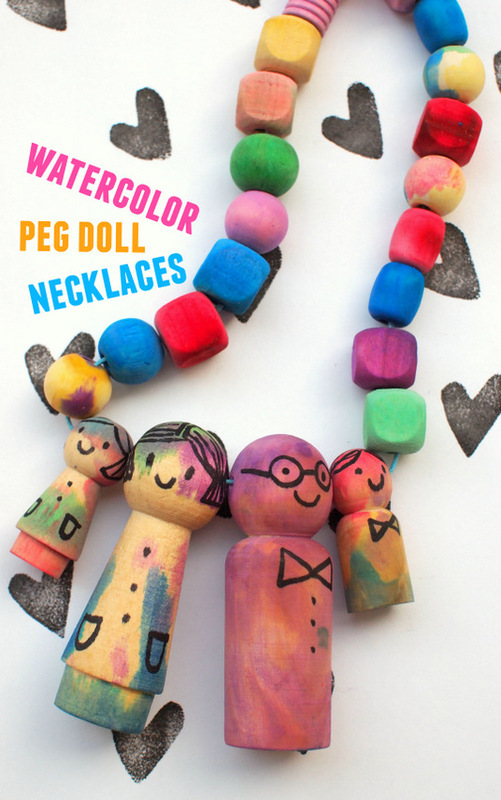 Let's Make Colorful Watercolor-Dyed Peg Doll Necklaces! As a kid, I loved the idea of being a detective or a secret spy. They got to wear cool clothes, go on adventures, and solve mysteries. A couple of weeks ago I tried playing a detective game with Chuck. I hid his favorite stuffed pig and then left 5 clues for him to follow. The clues were all written as secret messages. We had to do something to the paper to revel the hidden words. Chuck was onboard with the game. We've recently been gobbling up Nate the Great books from the library, so he really enjoyed being a detective and solving the case. 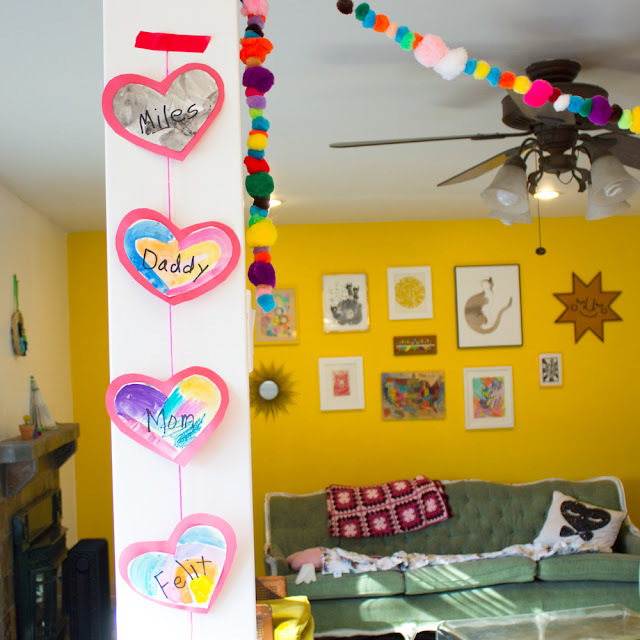 Sometimes the easy and classic preschool crafts are the best. Today I'm sharing a super easy paper plate craft for all reptile-loving kids. We're crafting some beautiful paper plate snakes! 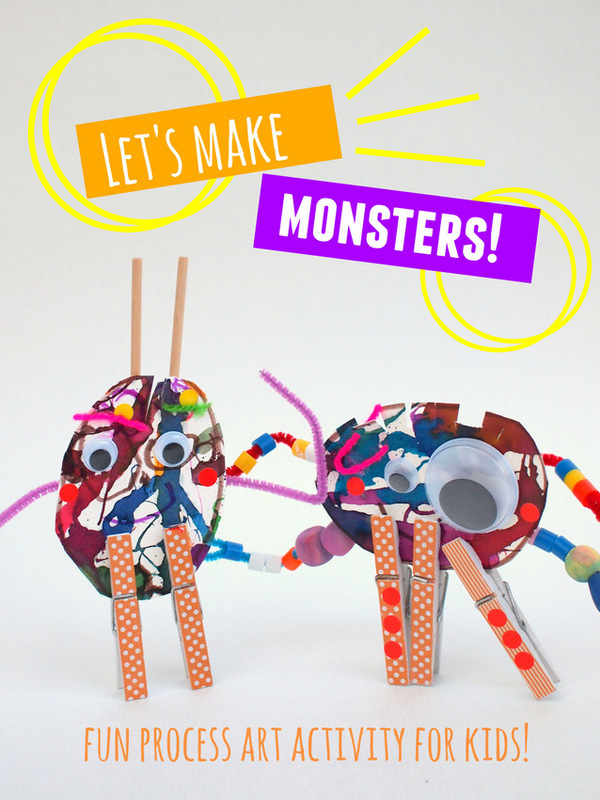 Make Monster Sculptures with kids! Looking for a fun Halloween activity for preschoolers? Living in Southern California, I have a tough time appreciating seasons. I mean, we’re still in the 70s-80s here. The leaves are green…. I'm still wearing shorts and sandals. It just doesn’t quite feel like fall. So this monster-making activity really helped us get into the fall spirit.